Mummers plays meet A Midsummer Night’s Dream in this boisterous blend of high and low, city and country, art and folk, along with timeless Revels favorites: rousing carol sing-alongs, dancing in the aisles, children’s singing games, the eerily hypnotic Abbots Bromley horn dance, and the glorious tones of the Washington Revels Brass. Experience the magic of the season this December with Mark Jaster as Will Kemp, Sabrina Mandell as the ringleader of some very Rude Mechanicals, Katrina Van Duyn as Queen Elizabeth, the world-renowned early music ensemble Piffaro: The Renaissance Band, the Rock Creek Morris Women, and Washington Revels’ cast — ages 8–88 — of courtiers, villagers, and some would-be thespians as we celebrate the Winter Solstice in true Elizabethan style. Welcome Yule! For a continuation of the Music Article from the Program, read our latest blog post! Through music, dance, and drama, each year Revels draws on traditions and rituals from a different land, people, and era — medieval, Elizabethan, and Victorian English, French, Russian, Roma (Gypsy), African-American, Nordic, American Appalachian, Native American, Renaissance Italian, Québécois, medieval Andalusian (Sephardic, Arabic and Spanish), southern Balkan (Bulgarian, Greek and Thracian Turkish), Irish, and more. Washington Revels thanks WERA 96.7 Radio Arlington and Takoma Radio / WOWD 94.3 FM for their in-kind sponsorship of the 2018 Christmas Revels. Click their logos to learn more about each of these community radio stations in Arlington, VA and Takoma Park, MD, and to listen live online from anywhere. 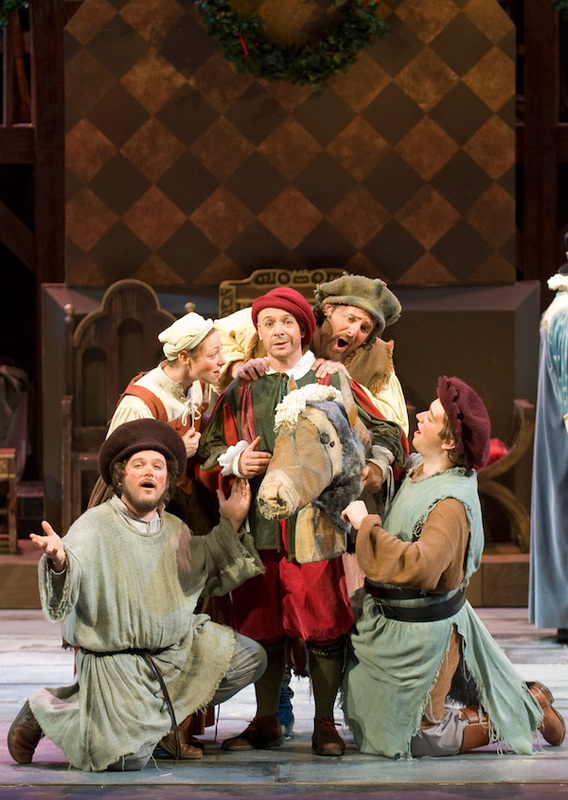 Christmas Revels In The News! Audiences of all ages and backgrounds enjoy Mark Jaster’s kinetic humor, playful interaction, musical wit and inventive imagination. His skills in mime were developed in training with 20th-century masters Marcel Marceau and his teacher, Etienne Decroux, and through studies in the LeCoq pedagogy of Theatrical Clown. 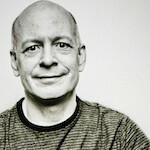 He now frequently teaches (Shakespeare Theatre, Maryland Opera Studio, University of North Carolina School of the Arts, Round House Theatre), consults on issues of mime and movement (Centre Stage, Round House Theatre, Adventure Theatre, Ford’s Theatre, Constellation Theatre, Olney Theatre) and regularly conducts artist residencies with elementary schools. 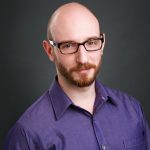 Since 2006, he has co-directed Happenstance Theater with his wife and partner, Sabrina Mandell, devising and appearing in critically acclaimed collaborative, original works of “Visual, Poetic Theater,” and winning The Helen Hayes Robert Prosky Award for Oustanding Lead Actor. 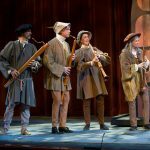 In addition to frequent performances with Washington Revels over MANY years, Mark has also appeared with the Philadelphia and Cambridge Christmas Revels, and has played A Fool Named “O” at The Maryland Renaissance Festival for over 30 years. Mark was also a proud member of The Big Apple Circus’ Clown Care Unit for 20 years, performing at the Children’s National Medical Center as Dr. Baldy. He is delighted to be with the hometown Revels company once again. Welcome Yule! Sabrina Mandell spent several years working on traditionally rigged schooners. She stopped for a spell to study Art History. She is the founder and Artistic Co-Director of Happenstance Theater and has written, produced and performed prolifically since the company was established in 2006. As the company’s manager she has maintained sustainability and as the costume designer she won a Helen Hayes Award in 2016 for Outstanding Costume Design for IMPOSSIBLE! A Happenstance Circus and again in 2017 for MOXIE: A Happenstance Vaudeville. 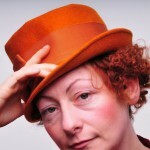 Sabrina performed for 10 years with the Big Apple Circus’ Clown Care Program in DC and Baltimore. She has also taught Theatrical Clown and Physical Comedy at several institutions including the Shakespeare Theatre, Everyman Theatre in Baltimore, Round House Theatre, Duke Ellington School of the Arts, the University of North Carolina School of the Arts, Lehigh University and Brandeis University. She is also a visual artist and poet. Katrina Van Duyn reprises the role of Queen Elizabeth I, which she first performed in the Elizabethan production of 2007. 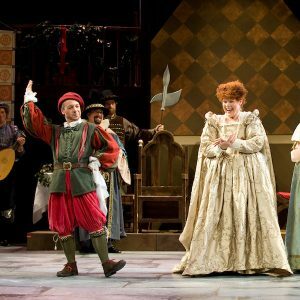 Other Revels roles: Haddon Hall (Lady Kathleen), French-Canadian (Raconteur – 2008, 2017), and Victorian Storybook (the Lady of the House and multiple storybook characters). It is always a delight to share in the Revelry! Ms. Van Duyn has worked in theatre since the 1980s, supporting that vocation with a career as an editor. 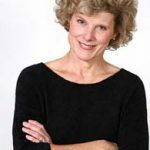 Outside her life as a performer, she is a freelance manuscript editor, a cyclist and cycling advocate, and teaches French privately and for Arlington County, where she also is certified with the Master Gardener and Tree Steward public education programs. Danny Pushkin is a native Washingtonian and performer specializing in very physical theater. He is passionately engrossed in the study of ritual theater traditions and the cultural role of fools. Danny was last on stage with The Christmas Revels in 2011 as Joha. He was an Associate Company Member of Synetic Theater from 2009–2013. In his other life Danny writes, directs, produces and performs in musicals and theater for young audiences. He is a Resident Artist at Adventure Theatre, having recently appeared in Caps for Sale (National Tour and Off-Broadway). 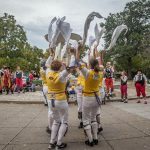 With their genesis in the folk revival of the 1960s and 70s, the Rock Creek Morris Women have been dancing Morris in Washington for the last 40 years. They dance a mix of traditions including Ducklington, Fieldtown, and an invented tradition, “Wheaton-under-Glenmont.” They can be seen at festivals and on tour around the metropolitan DC area, and occasionally travel to England to tour and dance. Follow them on Facebook and Twitter @RockCreekMorris! 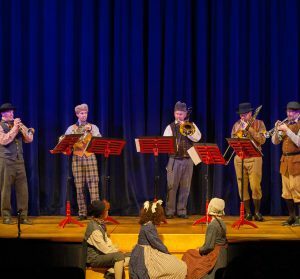 The Washington Revels Brass lends its joyful, clarion sound to every Christmas Revels production. Current performers include trumpeters Bob Birch (director and member of the group since 1996) and Fred Marcellus, hornist Andrew Houde, and trombonists Bryan Bourne and Jeff Gaylord, with percussionist Don Spinelli. The ensemble views itself in a certain sense as a microcosm of Revels everywhere: they have their own rituals, traditions, and personality. They differ from every other part of the Revels only in that their ways are largely invisible to all but themselves.